Moving to a new home can lead to many changes for a family: new schools, a different neighborhood, a changed routine, and oftentimes, a brand-new job. With a new job can also come a new route to get to work, or even a new option for your commute. 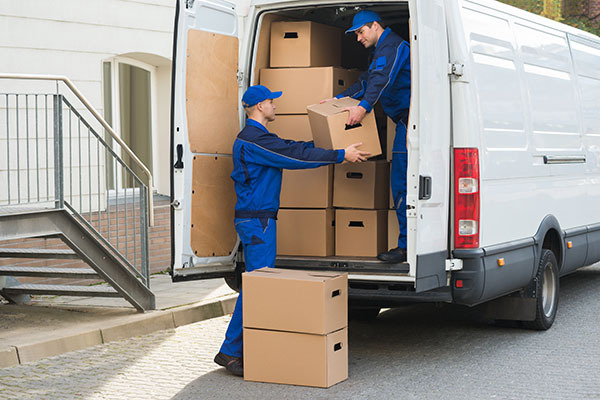 The experts at MovingAddresses.org encourage all new residents to stay open to different modes of transportation for their commutes to new jobs. Sometimes, innovative transportation options can be available to commuters that can save them money, time and the headache. Exploring all these options is important so you can find the best way to get to work and come home in a timely manner. Here are just a few potential options you may want to consider once you land that new job. If you’re open to investing some sweat equity into your commute and your job isn’t too far away, a walk or a bike ride can be an enjoyable commuting option. The experts at MovingAddresses.org recommend all residents who live close to a new job try out walking or biking to their workplaces because of the associated health and money-saving benefits. You can save money on gas and the wear and tear on your vehicle, or you may even be able to get away with not owning a car at all. A walk or a bike ride to work can also be a great way to sneak exercise into your day, and can relieve stress, gearing you up to tackle a day at the office. There are many ridesharing applications that can be found on your smartphone to consider for your everyday commute. If you don’t own a vehicle and biking or walking just isn’t an option, you can use these phone applications to calculate the transportation fare from home to work. According to the team at MovingAddresses.org, even car owners may sometimes turn to ridesharing applications as a way to commute daily because the fare can sometimes be lower than paying for their own gas and parking fees. Another benefit of ridesharing is that you forego the responsibility of driving, so you can use the extra time to listen to podcasts, read a book or catch up on emails. Speaking with co-workers and comparing your home locations can be helpful if you’re open to carpooling. This is a helpful commuting option because it cuts down on your gas budget and the mileage on your car. It’s important to choose carpool companions who are reliable, who are on time and who maintain a similar schedule to yours. Also, keep in mind that when it’s not your turn to drive, you won’t have access to a vehicle throughout the day, so sales visits or lunches out of the office may not always be an option. Sometimes, you don’t have many other commuting options and driving your own car is the only transportation choice that makes sense. If this is the case, take a moment to research different routes to your new job. The team of experts at MovingAddresses.org suggests learning several different roads that take you to work, including some that are off the beaten path, just in case you run into an unexpected road closure or a traffic jam. Not knowing about different routes can cause you panic and a late start to the day, so having a few different route options will help you to avoid a ruined first day at your new job. Depending on where you live, public transportation may also be an option for your daily commute. Bus, commuter train or subway fares can often be only a few dollars, making them much more affordable options than driving your own car or considering a rideshare application. The experts at MovingAddresses.org encourage public transportation commuters to consider taking a dry run of their daily commutes before attempting it on the first day of work. This can ensure you smooth out the details, know where you’re going and can set an accurate estimated commute time. If you familiarize yourself with the public transportation system first, you can learn the most efficient route, making you less likely to be late to work on your first day.